Virgin Rail has signed a 23-month extension to run the West Coast train franchise, after the contract was withdrawn from First Group. It will operate the London-to-Scotland line until November 2014, although the deal could be terminated earlier if a new-long term franchise is ready to start before then. The service will continue to operate under the Virgin Trains brand name. The news comes after the Government was forced to make a U-turn over its decision to award First Group the contract in October, owing to mistakes made by the Department for Transport during the bidding process. 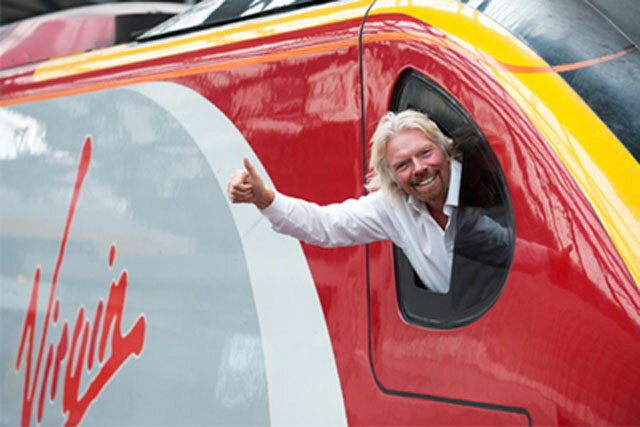 Before this, the future of the Virgin Trains brand had looked uncertain after it lost its remaining franchise to FirstGroup, and Virgin founder Sir Richard Branson cast doubt on whether it would bid for any more rail lines. Patrick McLoughlin, transport secretary, said: "We are determined to ensure not only that passengers continue to experience the same levels of service they have in the past, but that services improve." He added that there would be improvements to the services, including a new hourly London-to-Glasgow service, and 28,000 more seats daily. Tony Collins, chief executive of Virgin Rail, said: "We will not be sitting back in the coming months, but are keen to introduce more improvements to the service, which is already the most popular long-distance service in the country. "We are proud of what we have achieved since 1997, but there is undoubtedly more to come and we will work closely with the Department for Transport to bring even better services in future."